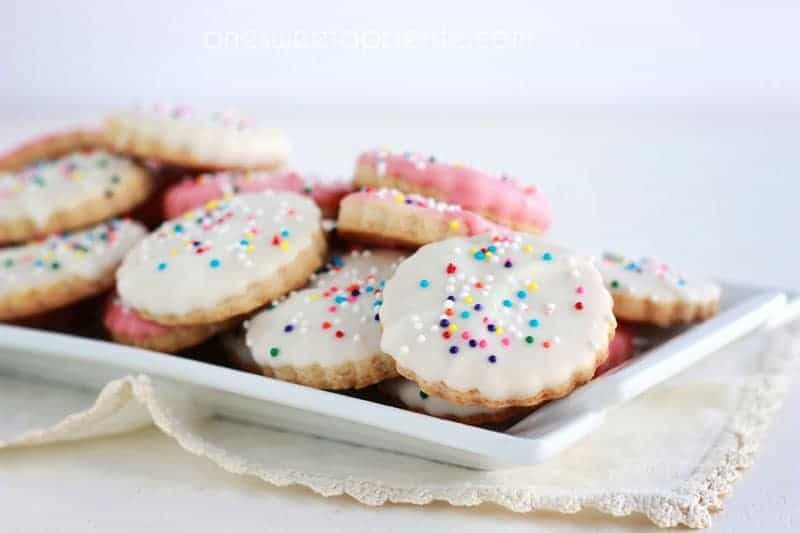 These Copycat Circus Cookies will take you right back to your childhood. We all grew up with those classic Circus Animal Cookies . They came in fun shapes like camels and elephants. Sometimes you would end up with two stuck together and the challenge of recreating a species or trying to guess what they could have been began. The nostalgia these bring is comforting and reminds me so much of after school snacking or those days my mom would pack a small bag full in my lunch box. It was just the little bit of extra love I needed. 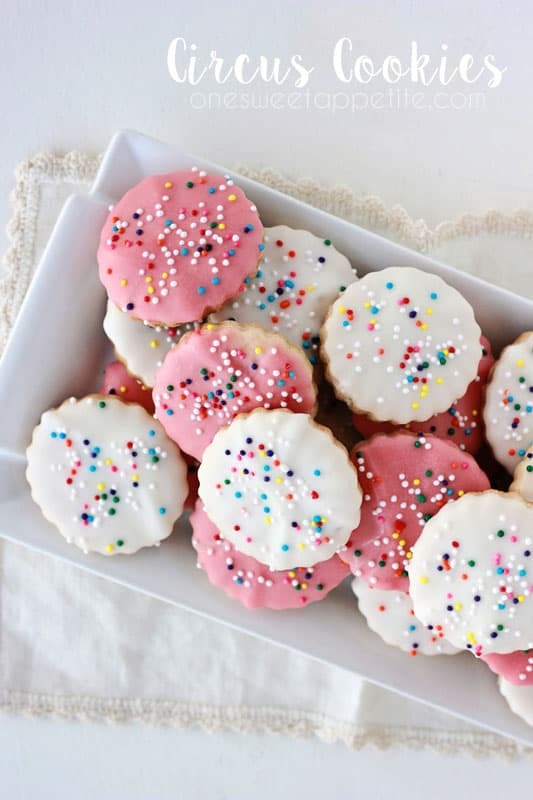 Recreating these cookies seemed like a no brainier! After many many recipes tried (and failed) I have finally perfected the flavor profile of these classic cookies! I thought recreating those cut little animals dipped in pink and white frosting would be a fun and quick experiment EXCEPT it turned out to be a little more time consuming than planned. The secret to getting the cookie just right is in the flours so whatever you do don’t skimp on the honey! I started by searching the web for some mini animal cookie cutters. None that I found fit exactly what I was looking for so I settled for a mini Round Cookie Cutter with ruffled edges. My son didn’t seem to notice a difference and immediately recognized the cookie based on the colors of chocolate and rainbow sprinkles. However, if you want to stick with the original theme of animals try this Zoo Animal Cookie Cutter Set . These aren’t miniature but would make an adorable set of full sized cookies! Whisk together the butter with the granulated sugar. Add the honey, vanilla, and lemon extract. stir until incorporated. 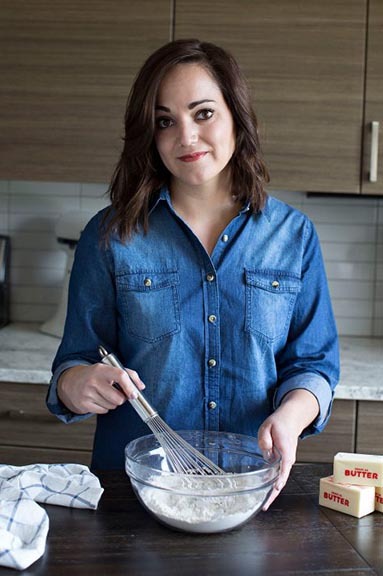 In a small bowl stir together the salt, baking soda, and flour. Mix into the wet ingredients with the milk and stir until a soft dough forms. Divide the dough into 2 equal parts, wrap in plastic cling, and refrigerate for at least 1 hour. Preheat your oven to 350 degrees. Roll into ¼ inch thickness and cut into your desired shapes. Transfer to a cookie sheet and bake for 8 minutes. Cool on a wire rack, dip in candy melts, and add sprinkles.